Today, Governor Larry Hogan unveiled the new Combined Heat and Power (CHP) system for Peninsula Regional Medical Center (PRMC) in Salisbury, MD. 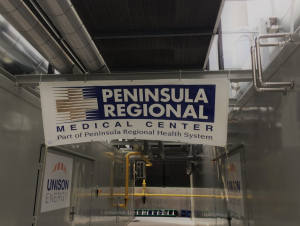 PRMC received a $494,320.00 CHP grant from the Maryland Energy Administration to renovate their existing heating system. 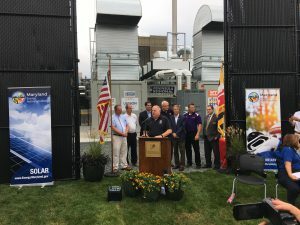 from left, Director Tung, Governor Hogan and Dr. Naleppa. “CHP systems make sense, both from a fiscal and an environmental perspective, given that this approach captures wasted energy and redirects the heat for maximized efficiency,” said Director Tung. CHP systems, generate electricity and useful thermal energy in a single, integrated system. 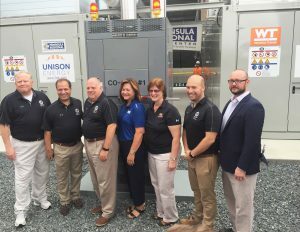 CHP options combine technologies to maximize efficiency and reduce waste. 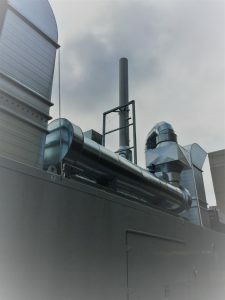 Traditional separate heating and power systems may yield a combined efficiency of 45%, however, a CHP system can operate at levels as high as 80% efficiency. 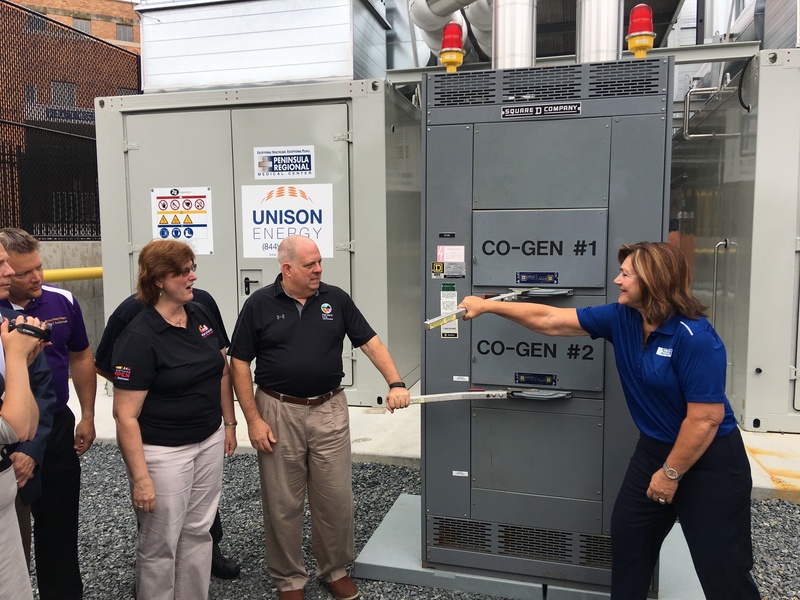 PRMC’s new system is composed of natural gas fired reciprocating internal combustion engines, and recovered waste heat will be used to provide space heating and domestic hot water. 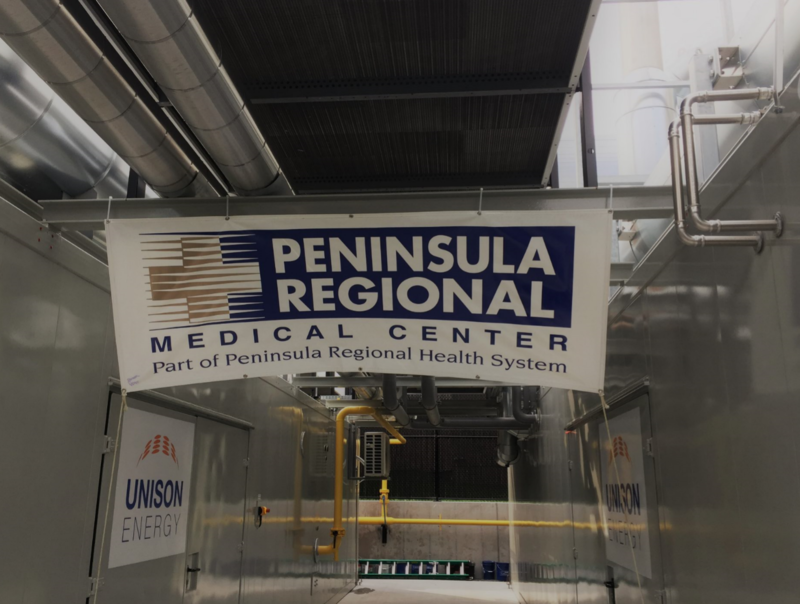 PRMC is Maryland’s Eastern Shore’s largest, most advanced tertiary care facility, with 3,300 physicians, staff and volunteers that provide care to nearly 500,000 patients. The MEA team stands proudly with Governor Hogan and PRMC’s CEO / President, Dr. Naleppa at the site of the new system. 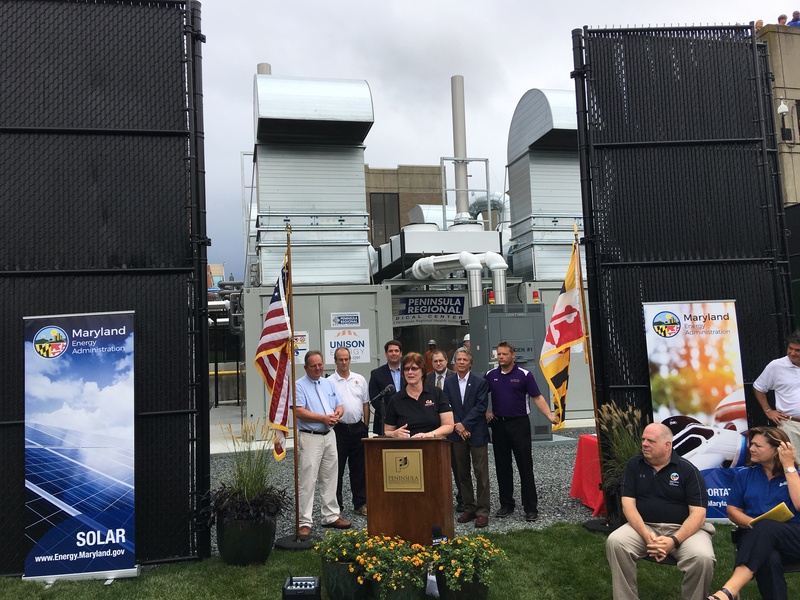 Our new CHP grant program is now open and we encourage all Maryland businesses to consider investing in sustainable, energy efficient measures like CHP. To get more information on the CHP grant click here.